JDSA has reopened its Copenhagen office – their first Friday Bar takes place during the Copenhagen Architecture Festival 2019. JDSA is a multidisciplinary office that focuses on architecture and design, from large scale planning to furniture. Rich with multiple expertises, our office is fuelled by talented designers and experienced architects that jointly develop projects from early sketches to on-site supervision. All of which, regardless of scale, outlines an approach that is affirmatively social in its outcome, enthusiastic in its ambition and professional in its process. At the core of our architecture is the ability to take a fresh look at design issues through experienced eyes. Our approach aims at turning intense research and analysis of practical and theoretical matters into the driving forces of design. By continuously developing rigorous methods of analysis and execution, JDS is able to combine innovative thinking and efficient production. 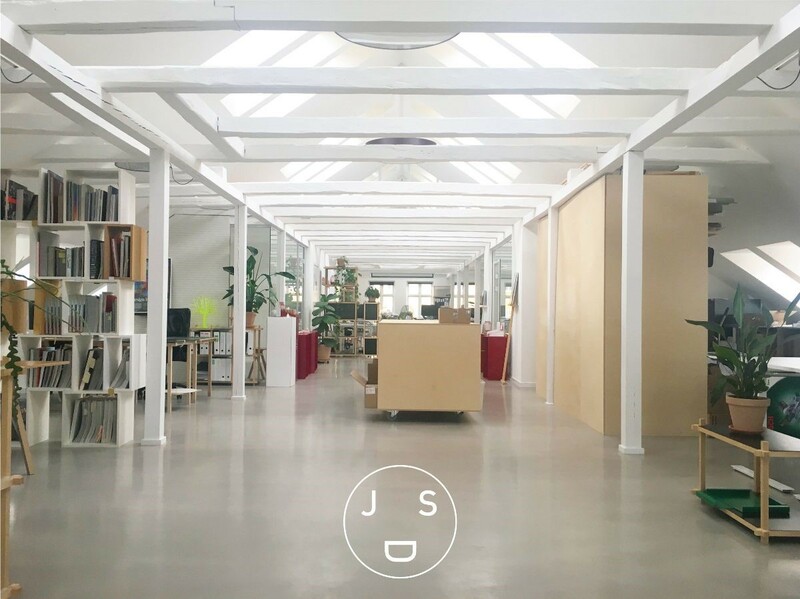 Founded and directed by Julien De Smedt (co-founder of PLOT), JDSA currently employs some 30 people with offices in Copenhagen and Brussels. We work with corporate, government and private clients in numerous countries to realize civic, residential, office, commercial, healthcare, educational, and waterfront development projects. We carefully limit the commissions we take on to help ensure a high degree of professional attention and overall project quality. JDSA envisions itself as a proactive partner for its client, rather than a consultant. The office has a wide portfolio of international work and the attitude of involving external experts to improve the design intelligence of its team. JDS Architects and Diller Scofidio + Renfro announce their selection to the challenging Citroën Cultural Centre project in Brussels. The new facility will host a Museum of Modern and Contemporary Art (15,000 m2), an Architecture Centre (10,000 m2) and last but not least public spaces, open to all, to be used for cultural, educational and recreational functions (10,000 m2). 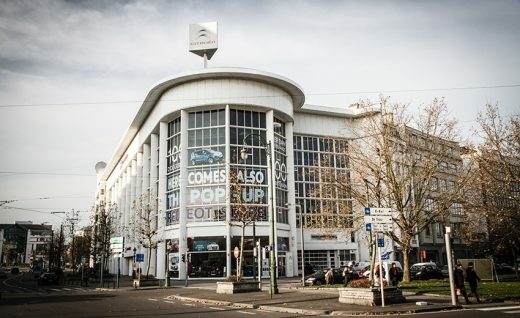 The project will take over the historically preserved industrial building Citroën at the crossroad of multiple urban conditions in downtown Brussels. The Urban Development Corporation (SAU-MSI) has shortlisted seven teams from the 92 applications received in response to the call. Citroën Cultural Centre – A new ambition for Brussels from Citroën Cultural Centre Brussel on Vimeo. New book by JDS, Built Unbuilt, will be released this September at various venues and online on FRAME Publishers. Edited by Shumi Bose and Mark Isitt. Contributors: Karsten Ifversen, Michael Speaks and Karen Wong. In collaboration with Design September. The architecture studio’s letter outlines the challenges of Oslo’s growth. Currently ranking fastest growing city in Europe, the Norwegian capital will nearly triple its population by 2100. In collaboration with Syracuse University, NY, JDSA envisioned the city’s potential future. The architects’ letters will be exhibited at DOGA. On September 26th, Oslo’s Mayor, Marianne Borgen will participate in the opening event. JDS Architects shortlisted for the Iconic Tower in Manila Philippines International competition. The Bases Conversion and Development Authority aims to develop its new corporate office in the northern portion of Bonifacio Global City, Taguig with an area of 7,275-sqm. The majority of the area will be allotted for open spaces, parks, landscapes, and public arts. Julien De Smedt will lecture this Thursday the 17th, from 19.00 alongside David Van Severen (OFFICE KGDVS) and Jorn Bihain (V+) as part of the first Architecture Week of Brussels (HTTP://AWEEK.BE). Aside from today’s lecture, as part of the A+ Architecture in Belgium Benefit, JDS will contribute the Bone Chair which will be up for auction today at 8:30pm at the Bozar Center for Fine Arts, Brussels. 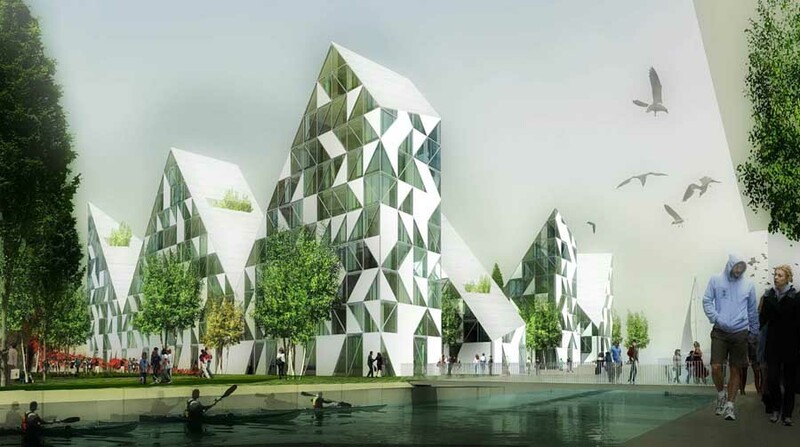 This harbour front project in Copenhagen, KALVEBOD WAVES, is collectively designed by KLAR and JDS/JULIEN DE SMEDT ARCHITECTS with the support of Sloth Møller and Niras Engineers. 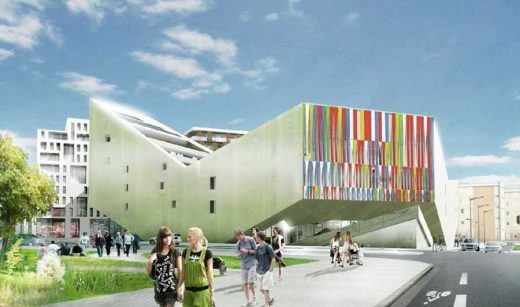 The architects announce that their project for the city of Lille just received a building permit. The construction will start in 2013. The JDS team is selected as 1 of 5 to compete for the ambitious Town Branch Commons, bringing Town Branch Creek to the surface for the first time in more than 100 years. The JDS core team is composed of Balmori (NYC) for landscape, Nitsch Engineering (Boston), Atelier Ten (NYC) for sustainable development and ourselves as lead. 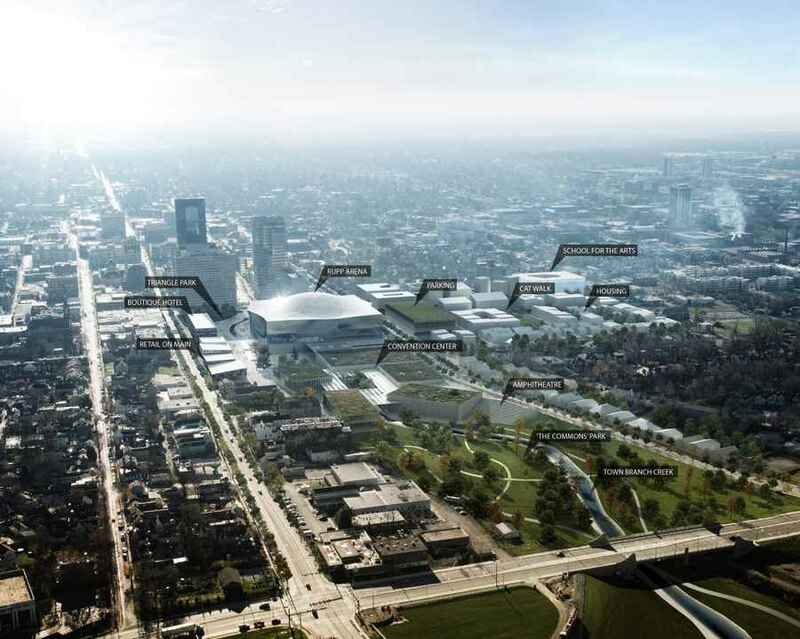 Excerpts from Kentucky.com the Lexington Herald Leader: ‘…Town Branch Commons, envisioned as a two-mile stretch of green space through downtown, was a major recommendation of the Arena, Arts and Entertainment District master plan. To achieve optimal views from the apartments to the sea, the building has been cut in a crisscross manner, taking its inspiration from floating icebergs in constant motion. The sloping rooftops emphasize views and bring in natural daylight while providing stunning views out in several directions. The 25,000 sqm building houses 155 apartments. JDS Architects unveils two new products at the Stockholm Furniture Fair currently underway in the snowy capital from the 7th until the 11th of February. Pictured (left) is the next evolution of the Stacked project, Mini Stacked, the wall-mountable and scaled down little brother of Stacked. And pictured (right) is Stoop, a public bench that redefines the public bench with multiple seating levels inviting people to sit in a way that is less prescribed, more flexible and more social. 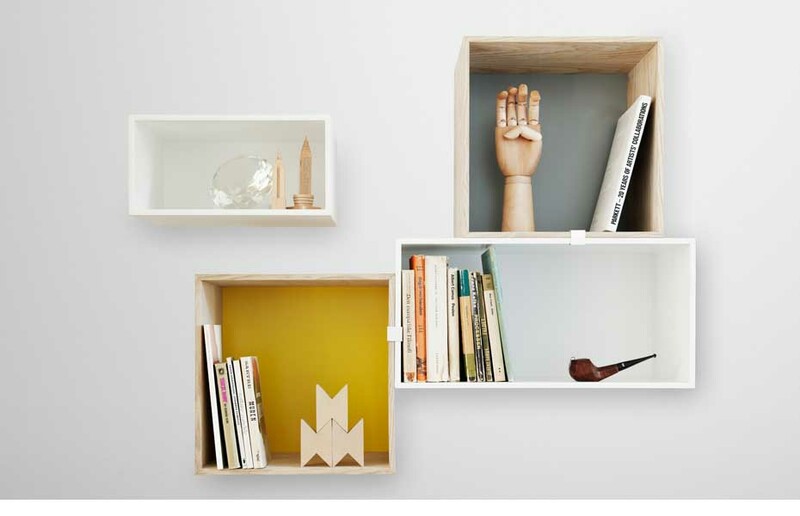 For those attending the Stockholm Furniture Fair, you can see Mini Stacked at the Muuto display and Stoop can be found at the Vestre display. Any further questions concerning the JDS product line can be directed to Julien De Smedt or our product designer, Wouter Dons,who can also be found in Stockholm until the end of the week. JDS was commissioned to design the masterplan and provide custom furnishing for the Brooklyn Bazaar event held in a 40,000 square foot warehouse on the Williamsburg waterfront from December 15th-17th, 2011. During the three nights, the space was converted into a bustling marketplace, food festival and concert venue. Over 100 food, art, and craft vendors and an impressive roster of DJs and bands were brought in to showcase local artisans. Drawing inspiration from Lars Von Triers Dogville, the layout featured stenciled typography and designated spaces outlined in dotted chalk floor markings. The furniture included custom made tables, bars, vendor stands and benches. After 6 years development in Asia, JDS Architects establishes its first office in Shanghai in order to oversee its projects in the region. The new office will service a number of key projects in the People’s Republic of China and in Asia as a whole. JDS founder Julien De Smedt and partner Andrew Griffin are responsible for the running of the office and ongoing projects. JDS is committed to design contemporary, sustainable projects that can address the challenges of some of Asia’s most rapidly expanding cities. To close the year JDS Architects introduce some of the projects that occurred in the region in 2011. JDS releases its design for a limited competition to design a new 5 star hotel and class A office complex in Hangzhou Xintiandi district. The competition winning Hangzhou H project has now received building permit and, along with partners at Hangzhou Xintiandi, CHINA CUC and MUDI, JDS Architects expect construction to commence in March 2012. Design for an invited competition of a 198,000 sqm mixed-use development in Wuhan’s CBD together with ARUP and MUDI. Design for a community centre in Shanghai Pudong District pending government approval. Together with MUDI and Tongji University, JDS have submitted a design for the Chongming bike park limited competition. The project consists of 3 main buildings: a gateway building to the park, a multifunctional hall and a bicycle museum. New spaces of office and exhibition in the center of Brussels. In preparation for the European Danish presidency, JDS will present a series of realised or ongoing projects in Denmark and abroad. Broudo has tapped Ken Farmer, the Creative Director of Nuit Blanche New York (NBNY), to orchestrate the artistic vision behind this part street fair, part art fair, and part concert to take place over the three nights of December 15-17. Highlights include a curated vendor area of innovative retail entrepreneurs like Playbutton, Kill Devil Hill, and Sit & Read; an artist-designed half pipe that will double as the music stage; as well as video installations and light projections curated by NBNY, the group who helmed the Bring to Light festivals in Greenpoint. 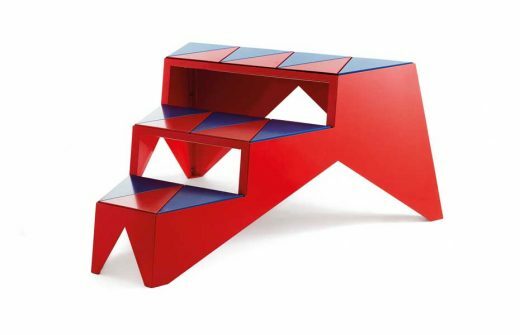 Architect Julien De Smedt, whose recent ski jump in Norway garnered numerous awards, has been commissioned to masterplan the market and design special furniture for the space. For more info see www.bkbazaar.com. The JDS design is inspired by the set design of ‘Dogville’ by Lars Von Trier. JDS’s Holmenkollen Ski Jump has been announced as the winner of the 23rd Norwegian Steel Day Prize for excellence in steel construction. The conference is a open professional and social forum for professionals, and is the natural meeting place for updating of knowledge, new contacts and care of existing and previous contacts in the steel community. JDS Architects were the recipient of two awards in the 2011 ICO/IAKS Awards, the world’s only international architecture competition for sports and leisure facilities. JDS’s New Holmenkollen Ski Jump received the gold award and JDS+BIG’s Sjakket Youth House received the silver award. IAKS, IOC and IPC award international architecture prizes for sports facilities Prize-giving ceremony took place on 26 October 2011 in Cologne. 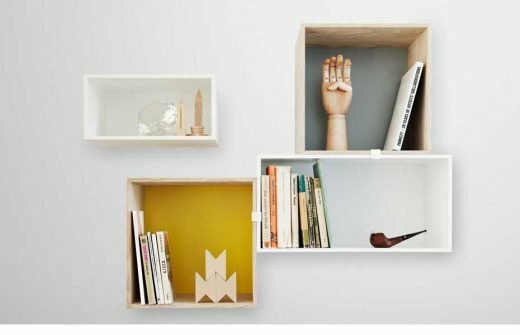 JDS Architect’s Stacked shelving system and Crushed bowl are part of Muuto’s 5 Year Exhibit at Design Museum Denmark. The birthday reception with music and drinks is on the 10th of November from 16.30h until 18.30, Bredgade 68, Copenhagen. Access to the exhibition is free and open to the public from the 11th to the 13th of November during normal opening hours of the museum. More information about the event can be found here. The exhibition started in Munich on the 10th of November 2011 and runs until the 18th of January 2012, afterwards it travels to Cologne and Rotterdam. The exhibition focuses on the philosophy and the outlook on architecture in Belgium and its influences internationally. On display are drawings, photographs, visualisations, films and scale-models. Copenhagen (Denmark) + Brussels (Belgium) + Stockholm (Sweden). JDS / Julien De Smedt Architects is a multidisciplinary office that focuses on architecture and design, from large scale urban planning to furniture. The office is fueled by talented designers and experienced architects who jointly develop projects from the early sketch to on-site supervision. Independent of scale, this outlines an approach that is affirmatively social in its outcome, enthusiastic in its ambition and professional in its method. By continuously developing and implementing precise and rigorous methods of analysis, we are able to combine innovative thinking with an efficient production. At the core of our architecture is the ability to take a fresh look at things through experienced eyes. This approach has resulted in a wide portfolio of both Danish and international projects. The office is 30 people strong, and supports an attitude of involving external consultants when required and relevant. This use of complementing resources ensures that projects will never suffer from being neither too conventional nor too naive. JDS is founded and directed by Julien De Smedt, former co-founder of PLOT. April 8, 2019 in Architects.